In the past, if you were a big guy and into mountain biking, breaking frames and components was a regular and expensive occurrence no matter which parts you chose. Thankfully this is no longer the case if you buy the right "large fella friendly" stuff. Even 10 years ago, this clydesdale class of frames and components wasn't widely available for purchase. Granted, if you were a downhill racer or wanted to drag a 45 lbs. freeride bike around on average trails, those parts were out there. Unfortunately for a normal big guy like me who just wanted to rail singletrack and hit the occasional tiny jump, there weren't many options. Especially so when you also have a mortgage to pay and a family to support. Rocky Mountain steel hardtail. Broke the joint between the rear drop-out and the chain and seat stays. KHS lightweight aluminum race hardtail. Sheared the head tube off from the down and top tube. Scars to prove it. KHS lightweight aluminum race hardtail, replacement. Folded the down tube and pinched the top tube. 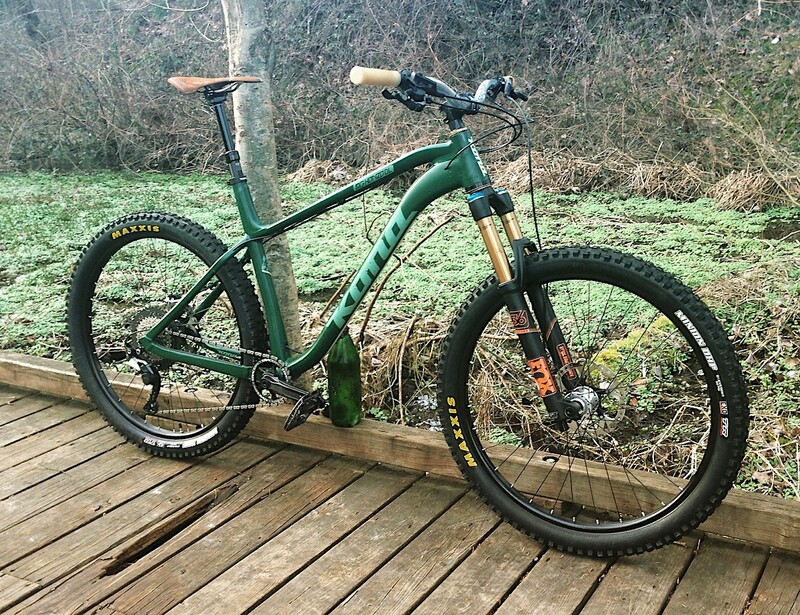 Santa Cruz aluminium all-mountain hardtail. Snapped the seat tube off from the front triangle. Busted countless lightweight rear wheels. Taco'ed several lightweight front wheels. Cracked numerous spokes and ripped rear derailleurs off hangers due to hard landings. Torn a handful of lightweight cross-country tires due to not enough sidewall support. Bent a number of aluminum handlebars. Once I even snapped a bar and had to jam a branch into the open end to ride home. Warped several aluminum seat posts and snapped the head off an aluminum seat post. In other words, I've trashed a healthy amount of frames and components in my 25 years of riding. The majority of that gear was much too weak for a guy my size, and I'm not even that huge: today I'm 193 cm (6'3") and 88 kg. (195 lbs. or around 14 stone). Keith Bontrager's well-known quote of "Strong, light, cheap: Pick two" is not one that I've ever found to be very accurate. For me, strong and light, no matter how expensive, has never really gone together. Heck, strong and cheap are often not true either. Even in 2008, when Kona introduced the Hoss as a mountain bike specifically built for clydesdales, it missed the mark. 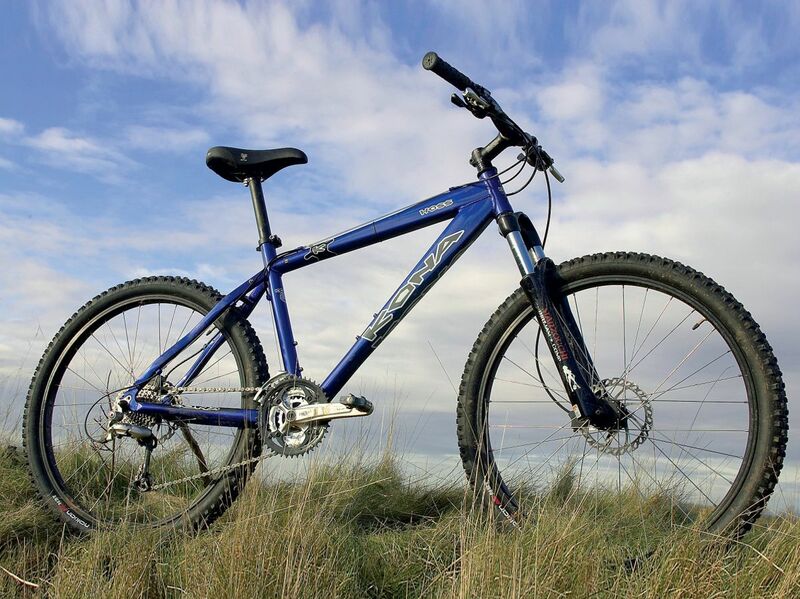 The Hoss frame was strong, its fork heavy duty and some of its components tough enough, but the majority were not. It wasn't Kona's fault though, they had a lack of good available options from which to spec the Hoss. The bike's 22mm rims were too skinny, its cranks too flexible and tires' sidewalls too flimsy. A beefy yet still reasonably lightweight aluminum hardtail frame. A sturdy yet plush suspension fork with wide stanchions and thru-axles. Wide rims with fat plus-size tires. Something in the 2.8" or 3" wide range to support and spread out the weight. Tough, but still well-priced and plenty light cockpit components. A good example is Race Face's line of Chester components for stem, cranks, handlebar, seatpost and pedals. Your pick of Shimano or SRAM mid-level drivetrain and braking bits. You could easily build a bike like this for less than CAD $3,000. I know that because I've priced it out myself. If you're more interested in buying a pre-built mountain bike, Kona has the Big Honzo, Specialized has the Fuse, Norco has the Torrent. Surly also sells the Krampus. There's also several other manufacturers who offer this same type of ideal clydesdale optimized mountain bike. Big guys, our time has come.